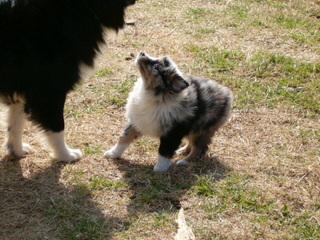 Magical Toy Aussies is a small breeder of quality Toy & Miniature Australian Shepherds. They are raised with love on our farm and in our home. We have sizes ranging from Teacup (under 10 in.) Aussies, to Toy (under 14 in.) Aussies, and Small Mini (14 – 15 in.) Aussies. 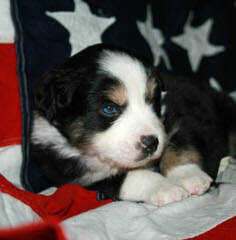 We have Aussies in all approved colors, red and blue merles, red and black tris and some blue eyed tri’s occasionally. We guarantee a happy, healthy, and well socialized puppy. 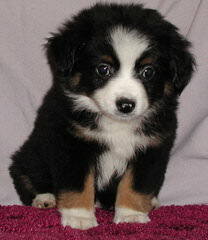 Each and every puppy will be examined by our veterinarian before being purchased, and come with a puppy care package. 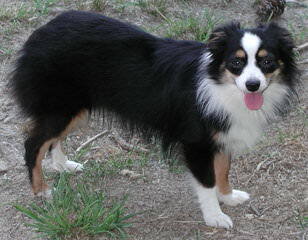 All parents have been tested clear for eyes, hips, patella, and MDR1 gene. We really love all of our dogs and take the very best care of them. 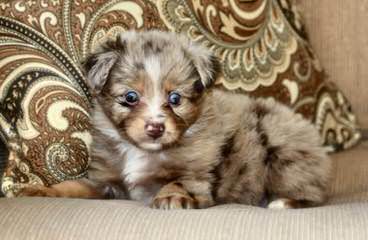 2 beautiful puppies available now. 12 weeks old. 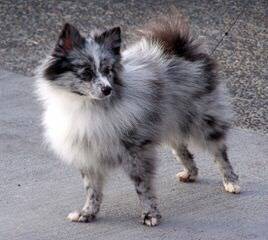 Blue Merle. 1 female and 1 male. $900. Dew claws removed. Tails docked. Vet checked and given go ahead to sell these puppies. 1st shot given. Active, healthy. Blue eyes. Parents in ASDR. 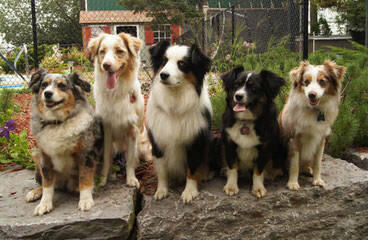 We have had Australian Shepherds since the early 1980’s. Started out raising standards, now raising, selling and showing Toys and Minnies. We have a number of National and International IABCA champions as well as MTACK, ICE and AS DR champions among our “momma and poppa doggies”. 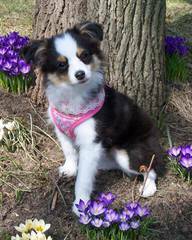 The puppies that we have sold that have been shown have gone on to be conformation, and agility champions as well as therapy dogs. 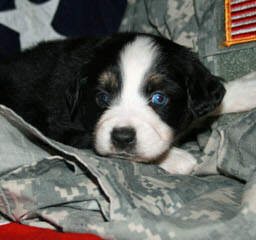 All of our puppies are born in our home and are handled from their first breath. 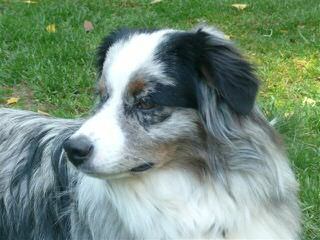 Twin Ridge Kennel takes pride in raising healthy, happy Australian Shepherds. Visit our website for information and pictures. 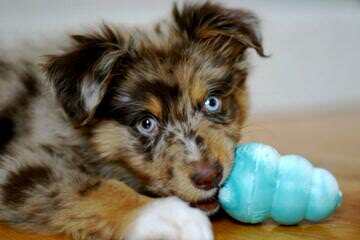 Breeder of quality Toy Australian Shepherds. Parents are health tested and well loved. Puppies are raised in our home. 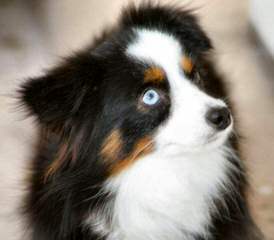 Kidd’s Aussies is a quality breeding facility of Toy & Miniature Australian Shepherds, now also referred to as Miniature American Shepherds as recognized by the AKC. We are located in Southeastern Kentucky just minutes from the Tennessee boarder. 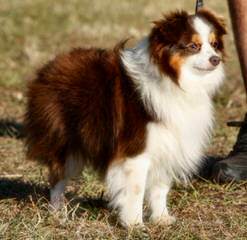 Miniature & Toy Aussies have had great success in agility & obedience. They are a great addition to any family! 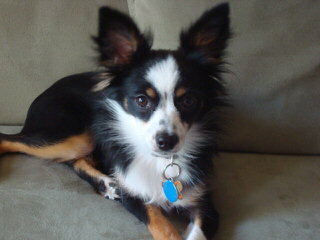 We strive for the total package; Great conformation, genetically tested, and smart loving pets all in one. 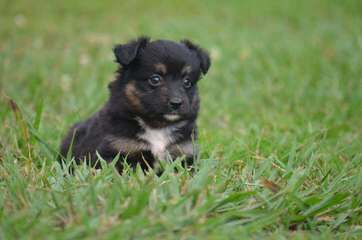 Check out our Puppies For Sale page, you never know when you will find your next lifelong companion! 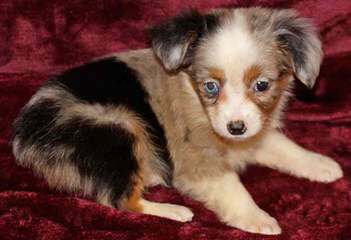 Registered Toy Australian Shepherd Puppies for sale. Puppies will be up to date on all shots & worming. 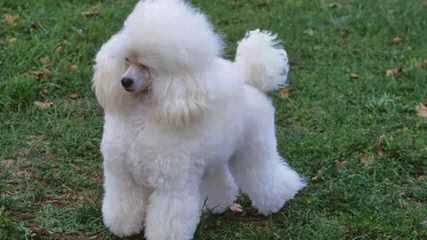 Puppies come from working bloodlines & are very smart dogs. Don’t let the size fool you. They want to work like a big Aussie. 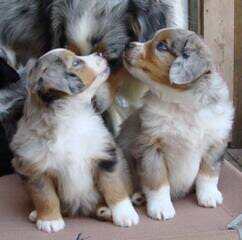 We are a breeder of Mini and Toy Australian Shepherds. 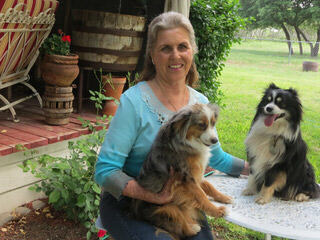 Our dogs are raised in a loving atmosphere and are handled and socialized daily. 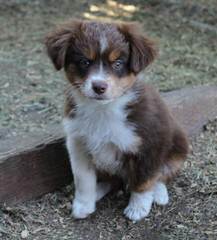 Our Aussies are tested for PRA, MDR1 and eyes and patellas are cleared before they are entered into our breeding program. 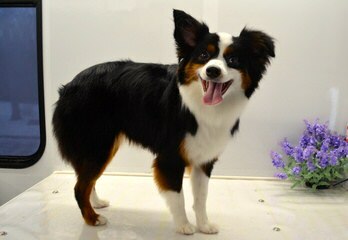 We enjoy our dogs and enjoy showing them in conformation events. Our dogs are registered with ASDR, NSDR and some MASCA. We would love to talk to you about what you are looking for to add to your family. 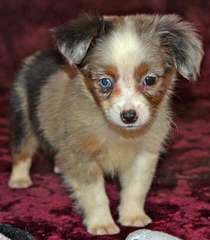 If we do not have the right puppy, we will help you find a reputable breeder. 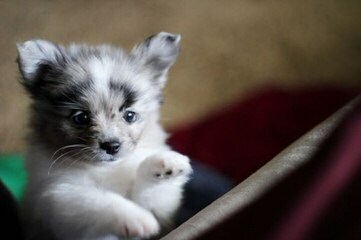 We are small breeders of toy aussies. All are home raised, no kennels. 2X International Champion sire, some Champion dams.Check our website to find out more about our dogs. 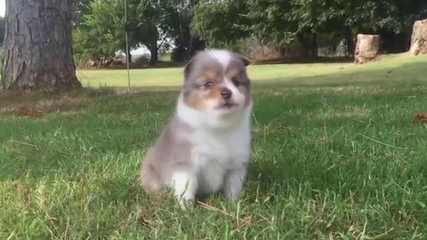 I have raised quality Mini and Toy Australian Shepherds since 2001. 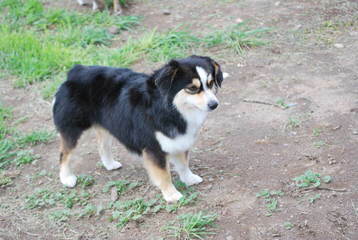 In the past 11 years I have spent countless hours studying the breed and years developing what I think is the perfect Aussie. 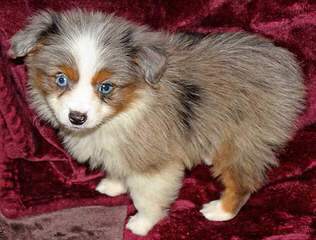 I didn’t just want a small size, but a conformationally correct dog that LOOKED LIKE AN AUSSIE! With not just looks, but flash too. Lots of copper and white is someting you’ll notice about my dogs as well. Nice quality dogs, many champion titles and lots of flash. What else could one ask for in a single dog? 100s of pages full of information. 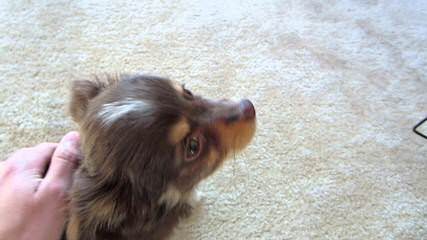 100’s of videos of my dogs, my kennel, shows and helpful hints. Thanks for looking. 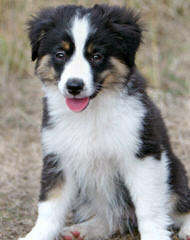 Breeder of outstanding quality toy and miniature australian shepherd puppies, health testing done. Puppies available. 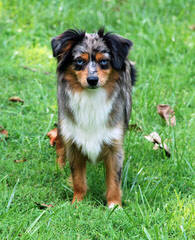 Breeders of Quality Toy & Miniature Australian Shepherds. 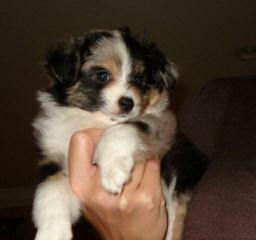 our puppies are raised with lots of love and attention, and come to you pre-spoiled and well socialized. 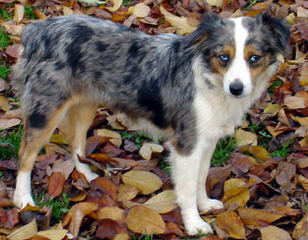 Our Adult dogs are OFA and CERF checked and DNA tested for the MDR1 gene. 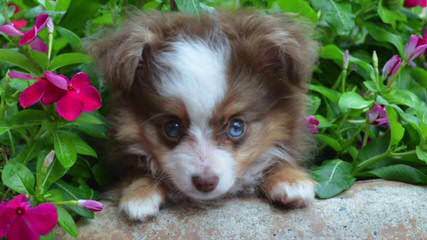 As breeders our responsibility is to do our best to insure you get a healthy pup! 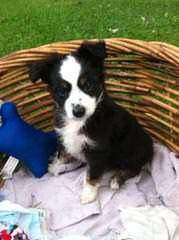 Our puppies all come with a 1 yesr health guarantee. Nationwide shipping available.